Discover an Herbed Tuna Sandwich recipe that's perfect for your next picnic. 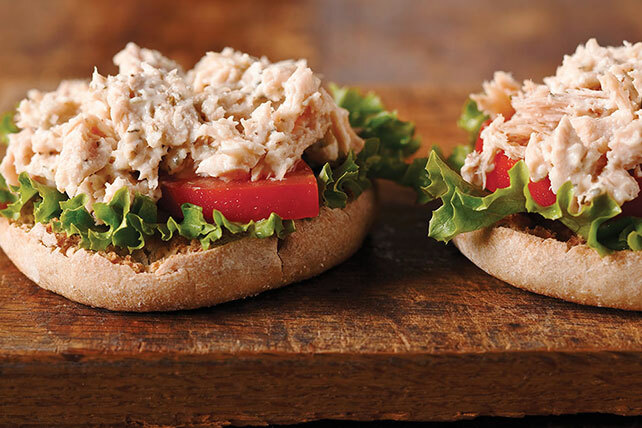 A single serving of jazzed-up tuna salad is creamy and flavor-packed thanks to the flavored mayo in this Herbed Tuna Sandwich recipe. Mix first 4 ingredients until well blended. Fill muffin halves with tuna mixture, lettuce and tomato. Substitute 5 or 6 baby spinach leaves for the leaf lettuce.